This building is full of opportunities! Currently it offers 1-2 bedroom apartment just recently remodeled, with spacious eat in kitchen, laundry room,1 bathroom,comfortable size living room for all your entertaining and private entrance. 2nd apartment has 3 bedrooms with additional room that could be used as a sun room or 4th bedroom, Living room, 1 bathroom, large laundry room/utility room and large Kitchen with separate dining room. It doesn't end there! 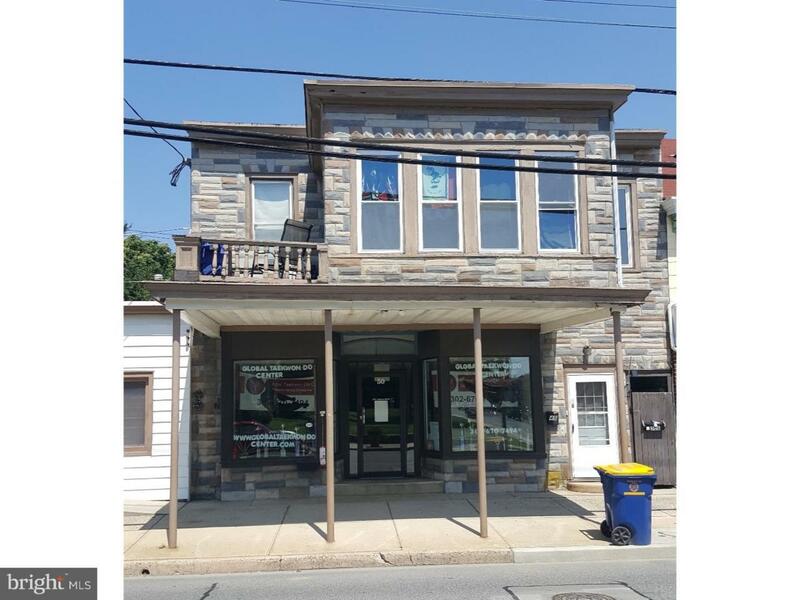 This property boost a large 1st floor store front, that has endless opportunities, with its 1400 sq ft and 1 bathroom. The property is located right in the heart of Smyrna, downtown in the business district of Smyrna. This property is surround be great restaurants, stores and where most of all the towns events take place. This property is not one to pass by. Great income generator and blank slate ready for your new business.